trying to channel a little glamour. thinking about the above rug for a space in my place. i think leopard is very classic but has to be done right or else it looks so cheap. i hope the price on that rug is not an indicator as to how it looks in real life. what do you think about that rug? LOVE IT!!! I am so obsessed with yellow right now. Dark, moody mustard, not sweet pastels. Oh, and your sweet family makes me want to break my two kids only rule! Love the colors, but I'm afraid the scale of the leopard print is HUGE!! 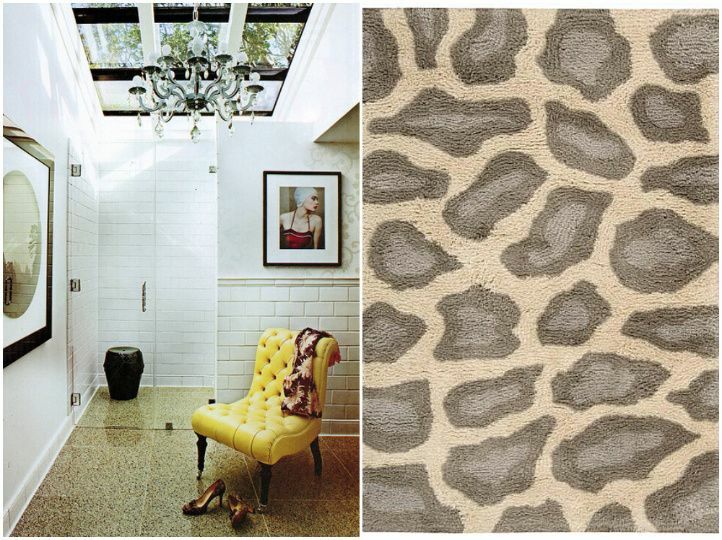 I'm totally craving leopard rugs too, so send other reasonable ones if you find them!! I really like the colors of the rug and I love leopard - I'm just always afraid to buy rugs sight unseen. So hard to tell and so bulky to ship back. Where is it going and are you pairing it with yellow?? 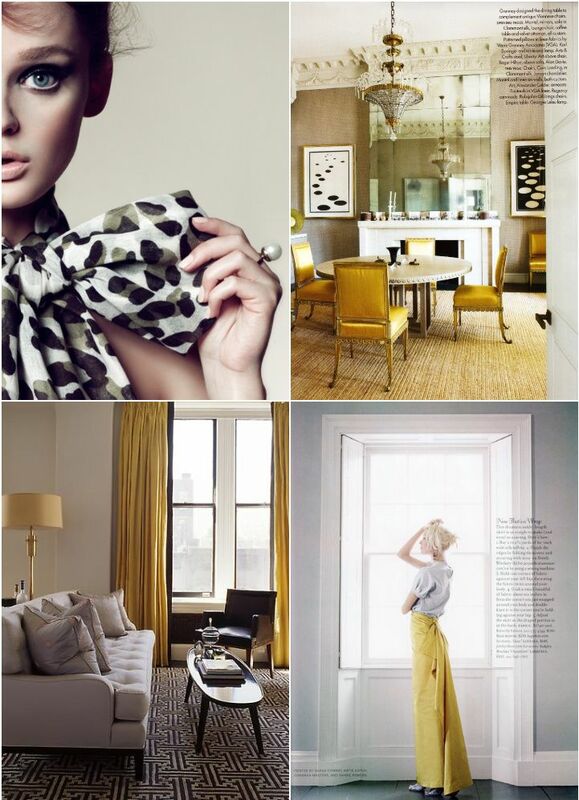 Loving all the pops of yellow you have in here! love the rug! where is is from? Only it was way cheaper before Christmas! Curses. The moral of the story is, you should buy your leopard rug before it's gone and/or the price doubles. I think my work here is done. Gorgeous photos! I'm loving the carpet in the middle left photo, that would be perfect for my man clan lair. Yellow leather, leopard...love love love! Gorgeous glamour!!! Love that rug! Might have to pick one of those up for myself. What a deal. I know what you mean about leopard sometimes looking cheap. But I think the gray makes this one sophisticated. Great find!